Kari MacDonald – The Law Office of Kari L. MacDonald, P.A. Kari MacDonald graduated from Michigan State University in 1998 and received her Juris Doctorate in 2001 from Michigan State University College of Law (formerly known as the Detroit College of Law). She became licensed in Michigan in the fall of 2001 and practiced law in Michigan for two years before relocating to Florida. In February of 2004, she sat for the Florida bar exam and was admitted to practice law in Florida a few months thereafter. Before opening up her own firm in June of 2009, Kari practiced in the areas of Family Law, Civil Litigation, Probate Estates and Workers Compensation. Since opening her own practice Kari handles cases almost exclusively in the areas of Family Law, Estate Planning and Personal Injury and appears before the Courts in Hillsborough, Polk, Pasco, Pinellas and Manatee counties. In April of 2018, Kari became a collaboratively trained attorney in an effort to afford her client a more civil and financially-advantageous way in which to resolve what may otherwise be a highly-contested divorce case. 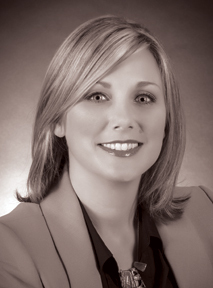 Kari is a member in good standing of the Michigan Bar Association and the Florida Bar Association. She is a member of the Family Law and Young Lawyers Divisions of the Florida Bar Association, Next Generation Divorce, the Brandon Bar Association and the Hillsborough County Bar Association. Kari is a working, married, mother of two wonderful little girls. Her personal goal is to provide her clients with personal, affordable and competent legal representation in a variety of legal arenas. She is devoted to serving clients in the greater Tampa Bay area and would do an excellent job handling any of your legal needs.